Kohl’s Kicking, Punting, and Long Snapping Camps provides the single biggest stage for kickers, punters, and long snappers in America and is the most trusted evaluation resource by college coaches. The Kohl's Kicking program is chosen by elite NFL, collegiate, and high school specialists for training and exposure. Kohl’s Kicking Camps provides the single biggest stage for specialists in America. 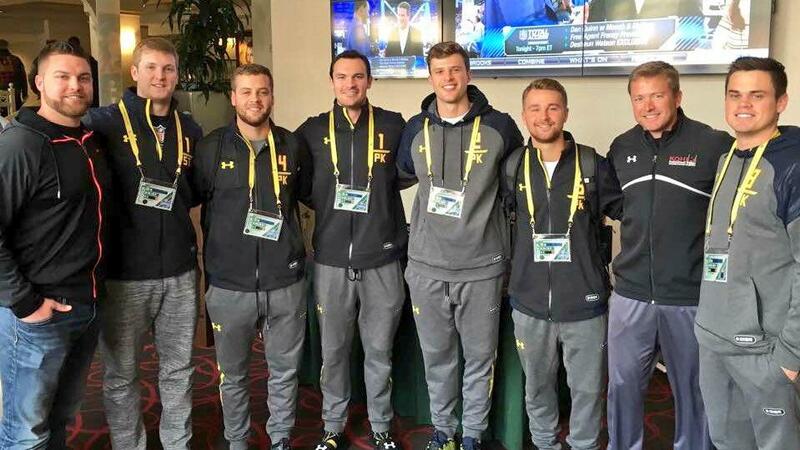 They are the only camp trusted to rank specialists for ESPN and choose specialists for the Under Armour All-America Game. Their evaluations are the national standard to college coaches across the nation. Kohl’s invests a great deal of time, money, and resources to actively maintain relationships with college coaches that many in the kicking industry are not able to secure. Their track record for honest and accurate evaluations and the success of previous Kohl's athletes is opening new doors every year for future campers. Kohl's trains college and pro athletes year-round, including those who have played in Pro Bowls and Super Bowls. 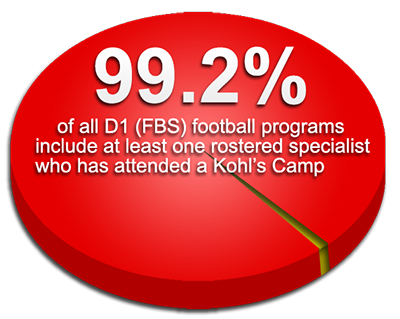 80+ Kohl's Elite Camp athletes have earned NFL tryouts in the past 3 years and close to 69% of NFL teams have a Kohl's trained athlete on their roster. In an industry full of "World's Best" claims, the Kohl's staff wants to remain transparent, and let the numbers speak for themselves. See our list of athletes at the highest level who have been through our program, and how many times.
" I started working with Jamie Kohl in college. He's respected by pretty much every team in the NFL. You know, coaches call him and if he's got good things to say about you you're setting yourself up nicely. Kohl's branded shirts, hats, backpacks and more!